Audi Centres can now offer winter wheel and tyre sets priced from £799 to £3,659 for all current Audi models. Tyre-only sets also available priced from £325 to £1,300 for four. As the prospect of potentially perilous winter weather looms (www.metoffice.gov.uk), even Audi drivers with quattro all-wheel-drive should seriously consider the major benefits offered by Audi approved winter wheels and tyres. Available from Audi Centres across the country, the range of 16-inch to 20-inch alloy wheels with higher anti-corrosion resistance incorporates tyres constructed from a special rubber compound that thrives in temperatures of below +7 degrees centigrade. They bring significant gains in traction and overall control, not only in snow but also in extreme wet conditions at low temperatures, which have to be felt to be believed. Whereas conventional tyres become stiffer and less flexible at low temperatures, winter compounds remain softer and more pliable, and consequently better able to maintain grip. They also benefit from a special tread pattern that optimises water displacement, and additional grooves, called sipes, within the tread blocks which interlock with snow to maximise traction. The wheel and tyre sets range in price from £799 for the A1 premium compact hatchback to £3,659 for the RS 4 Avant, and are delivered to Audi Centres ready to fit. For tyres only, prices range from £540 to £1,300. In conjunction with the quattro all-wheel-drive system that is available across the vast majority of Audi ranges, they create some of the most steadfastly agile and reassuring models in which to weather our increasingly challenging driving conditions. Also available are tyre-only options for previous generation Audi models, allowing drivers to keep their current wheel rims. Owners of Audi A3 models built between 1997 and 2003 can purchase four fitted winter tyres for just £325, while a set of four tyres for A4 models built between 2001 and 2007 can be fitted from £540. For maximum peace-of-mind, Audi models which are outside of their original new car warranty period, and which are newly fitted with a set of Audi winter wheels and tyres, will benefit from one year’s complimentary Audi Roadside Assistance cover, offered for a limited period from the point of purchase at an Audi Centre (Terms and conditions apply). 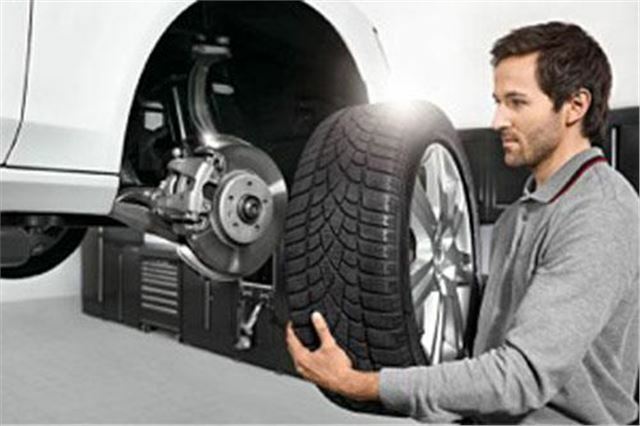 To complement the winter tyre programme, Audi Centres can also offer customers a ‘tyre hotel’ service to store winter or summer tyres when they are not needed. For just £120 including VAT, tyres will be stored for 12 months in Audi branded wheel bags ready to use on request.